G.WINE was founded in 2012 by three enthusiasts of Georgian wine. Our longtime aspiration was to produce high quality natural wines that we would enjoy and offer proudly to interested consumer. 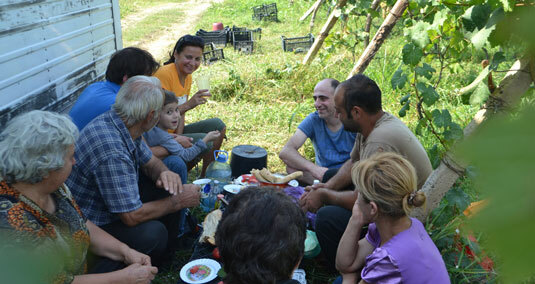 Company handcrafts wines from exquisite Georgian varietals. To guarantee high quality for our wines, we opted for limited production and focused on exceptional terroirs. Our experimental batches were presented on numerous wine festivals and tastings. Taking into account expert appraisals, we made final selection of the vineyards and, in 2013, started wine production. 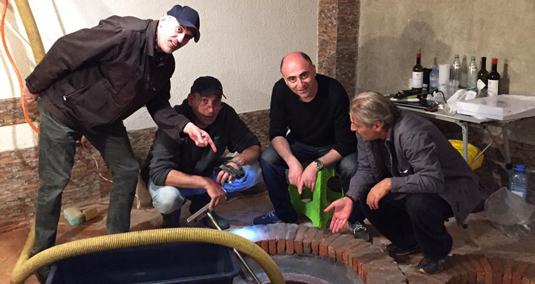 In 2016, we built a new Marani (wine cellar) and since then focus on producing white wines with skin contact in Qvevri (UNESCO-recognized unique Georgian earthenware for wine). Company has two brand lines, “G.WINE” for premium wines, and “HARALE” for below premium wines. We thoroughly control the quality of vineyards and the harvest. Depending on the climatic conditions of each specific year and the quality of the harvest, Company decides under which of these two brand lines the wines will be bottled. Our natural wine is for everyone, starting from consumers that just ventured into the wine world to wine aficionados. c) Popularization of wines made from exquisite Georgian wine grape varietals and thus enriching the wine consumption culture globally through supporting reintroduction of the wines of Georgia – a country recognized internationally as the “Cradle of Wine” – to the world.